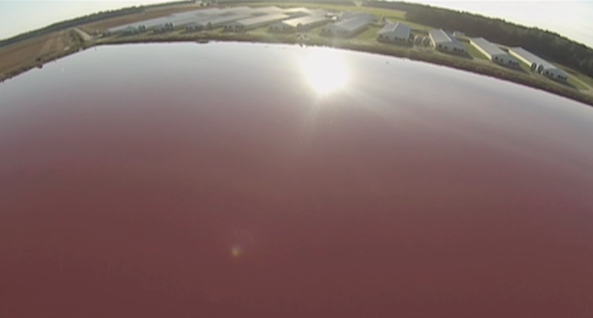 Giant open-air cesspool from a CAFO featured in Mark Devries’ drone video of a factory farm. Concentrated Animal Feeding Operation (CAFO) was a foreign word in the Lake Superior Basin prior to the summer of 2014. Today the residents of Bayfield County know many new terms: nutrient management plans (NMP), best management practices, manure lagoons, gestation crates and animal units. As the community learned about these things, We The People became very concerned and engaged. An organized response sprang to life, challenging a corporate factory hog operator from Iowa. The proposed Badgerwood facility is projected to have 26,000 hogs, annual production of 6.8 million gallons of liquid manure, annual facility water usage of nearly 34 million gallons—all in close proximity to Lake Superior, 10% of the world’s fresh water. The proposed Badgerwood CAFO is sited in the Town of Eileen in the Fish Creek Watershed less than eight miles from Lake Superior. CAFOs pose serious and well-documented threats to water quality, air quality, property values and public health. 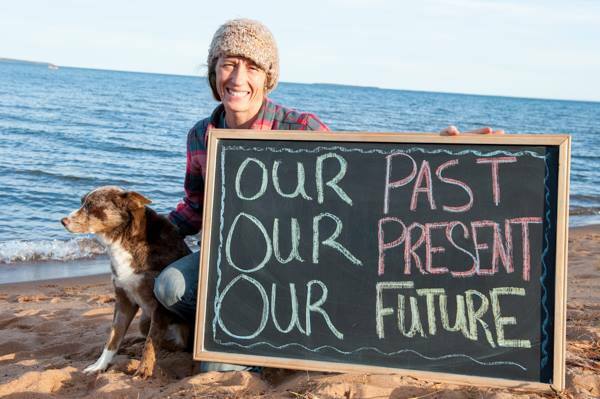 The people of Bayfield, Ashland and Iron Counties are creating coalitions, passing moratoriums, studying the effects of CAFOs on public health, educating ourselves about the CAFO industry and standing together, united in defense of our water. 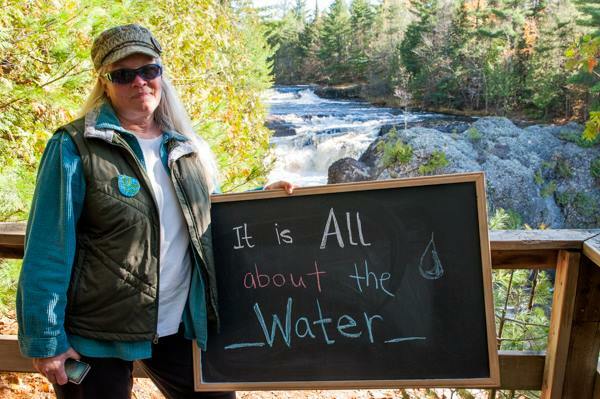 The following organizations/cities have sent letters to DNR asking them to do an EIS: Sigurd Olson Environmental Institute, Clean Wisconsin, Midwest Environmental Advocates, Wisconsin River Alliance, Sierra Club-John Muir Chapter, City of Washburn, City of Ashland, City of Bayfield, League of Women Voters of Ashland and Bayfield Counties, Senator Janet Bewley and Representative Beth Meyers. More organizations are weighing in. The following cities/towns/organizations/tribes have passed resolutions against CAFOs: City of Washburn, City of Ashland, City of Bayfield, Town of Bayfield, Town of Bayview, Bayfield Chamber of Commerce, Red Cliff Tribe. Gordon Stevenson, P.E., 26-year veteran of Wisconsin DNR and former Chief of Runoff Management. The following organizations/farmers sponsored the After the Siting event: Socially Responsible Agricultural Project, League of Women Voters of Ashland and Bayfield Counties, Kewaunee CARES, The Cornucopia Institute, The Alliance for Sustainability, The Sigrud Olson Environmental Institute, Sierra Club-John Muir Chapter, Bad River Watershed Association, Blue Vista Farm, North Wind Organic Farm, Elsewhere Farm, River Road Farm, O’Dovero-Flesia Farm, Sassy Nanny Farmstead Cheese, Angel Acres Farm, Great Oak Farm, Spirit Creek Farm and Hermit Creek Farm. We are working with Freshwater Future to refine our strategy and communications. We partnered with Socially Responsible Agricultural Project and they have provided invaluable resources and support. We created a group, Farms Not Factories, and a website for the Badgerwood CAFO. Bayfield County has a 12-month moratorium (with up to a 6-month extension) on siting CAFOs while the Large-Scale Livestock Study Committee investigates the threats to public health posed by CAFOs. Iron County has a 12-month moratorium (with up to a 12-month extension) on CAFOs while they review their comprehensive plan and regulations of CAFOs. Ashland County is working on ATCP 51. Our CAFO issue has been featured in local, state and regional newspapers, blogs and TV news stations. Badgerwood CAFO and its 26,000 hogs, 6.8 million gallons of liquid manure (produced annually) and annual water usage of nearly 34 million gallons of water is the first hog CAFO in the Lake Superior Basin. And it’s a big deal. Wisconsin is not Iowa. 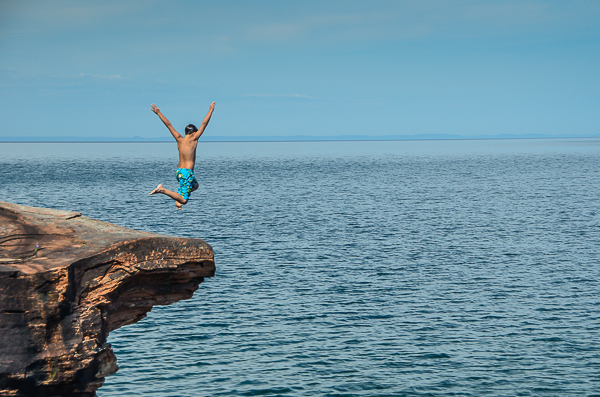 Ten percent of the world’s freshwater is at stake, as well as thousands and thousands of people who are fully vested in the health and well-being of Lake Superior and our region. Two sovereign nations—the Red Cliff and Bad River Bands of Lake Superior Chippewa—also have fully vested treaty rights that need to be addressed when talking about 26,000 hogs in ceded territory. It’s been a productive nine months. We continue to work together to further strengthen our coalition, learn more about the CAFO industry and actively engage with every level of governmental and regulatory agencies as we protect the clean water, clean air and public health that are the cornerstones of our region. Excellent brief. We have a huge problem in Michigan’s Thumb. 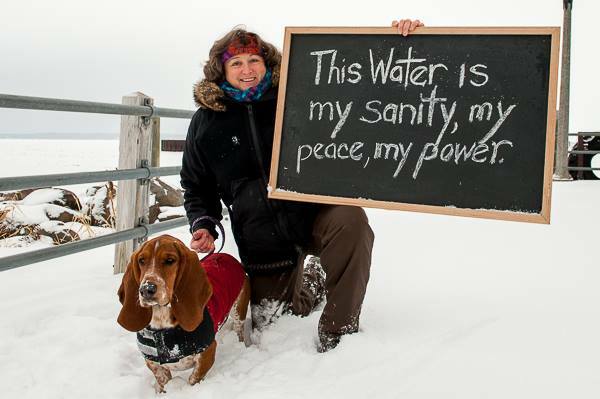 With over 21 industrial CAFOs in operation, significant water problems have cropped up.